Healing can be such an all encompassing word and yet so vague at the same time, suffice it to say we use it in the sense to bring back some positive benefit. Interesting that one dictionary meaning is given as "to repair by natural processes" and it suggested that it was aimed at returning something back to its "whole" state. 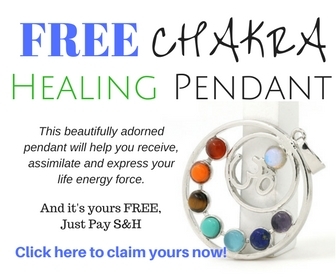 Often chakra healing is referred to as Chakra Balancing, for in balance, the body can better heal itself - which is what it's internal processes naturally attempt to do. Every day we come across people talking about vibrational healing and energies from many sectors of society and an ever increasing number of those are from respected professions such as doctors and scientists. This means that at last there will be more and more "evidence" to support what ancient wisdom and traditions have long practised and adhered to. As a hypnotherapist and Reiki master I have an interest in healing as well as the power of the mind and I like to combine the two fields, both in my work with people and in the articles I write. The mind is such a huge and important part of healing, not just as in the thoughts we think the images we visualise but also in the beliefs we hold - both the healer and the patient. The best evidence we can have of healing and even the existence of energies is through our own personal experience. However to get us to the point of being open to such ideas and trying things for ourselves, it can be of immense help if we start to educate ourselves around the possibilities. 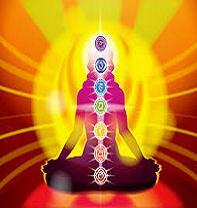 When we read auras, the chakras or work with the energy of the body in one way or another, we use our senses. We may not all be able to physically see them, but we can feel and interpret the sensations we receive. Sometimes this can be very specific feelings of heat or of cold, some energies feel prickly, some feel gluey and damp. Some medical intuitives can even pick up on very specific illnesses within the body and the organs. This may seem a little 'airy fairy' and all too 'new agey' for some people. The problem being, it is hard for people to visualise the energy within and around the body and we tend not to spend any time considering the energy of our thoughts and beliefs. Even the thought that there is an energy to thinking can be too much of a quantum leap! However if we look within the mainstream medical profession, we readily use tools and instruments in our modern technology that uses these precise energy frequencies too. Bruce Lipton PH.D. in his book " The Biology of Belief "writes: "Though conventional medicine still has not focused on the role energy plays as "information" in biological systems, ironically, it has embraced non invasive scanning technologies, which read such energy fields...Because energy fields travel easily through the physical body, these modern devices, such as CAT scans, MRIs and positron emission topography (PET) scans, can detect disease noninvasively. Physicians are able to diagnose internal problems by differentiating the spectral energy character or healthy and diseased tissue in the scanned images..."The diseased tissue emits its own unique energy signature, which differs from the energy emitted by surrounding healthy cells." He then also reminds us that there are treatments where modern medicine uses energy waves to actively treat a patient - specifically a patient with kidney stones. "...kidney stones, a rare case where the laws of quantum physics have been harnessed as a therapeutic tool in modern medicine. Kidney stones are crystals whose atoms vibrate at a specific frequency. Doctors non-invasively focus a harmonic frequency on the kidney stone...the atoms of the kidney stones vibrate so quickly that the stones explode and dissolve. The small, remaining fragments can then be easily passed from the system..."
What we find so hard to believe is that there is the potential within each of us to work more in harmony with our body, mind and spirit. That we are made up of energy and can focus that energy as we choose. This can even be done without the need to dissociate from daily modern life, meditate for hours or join any mystical society! We affect the environment of our internal systems in many ways - some obvious, others not so, of course the food we eat and the liquid we consume account for a great deal, as does the way we move our bodies - or not! But also consider the impact your thoughts have. Many people have dismissed the idea of thoughts having energy but of course they do and this is felt in the body, and noticed in the sensations you feel. It's not just the scary movie or the rollercoaster ride that we can relate to here - we know we have scary thoughts that create scary feelings in certain circumstances. The ones that can affect us more though are the ones we subconsciously run through our minds (and bodies), the ones of low self worth, low self esteem and guilt. It is not just the obvious thoughts that affect us, every single one does, but by how much depends on how much importance we give them and how often we replay them in our minds. How much nicer is it to think, express and sense feelings of peace, contentment and love? The trouble is for many people such high vibration, healing frequency thoughts, activities and expressions account for far fewer hours in the day than the ones fraught with deadlines, conflict and pressure. One way to redress the balance is to educate ourselves to what is really going on inside our bodies, our minds and our energy systems. By simply becoming more aware we can realise we have a choice. We can choose a better way, a better way of communicating - to ourselves and to others. By breaking the energy down into the language of cells Bruce Lipton reveals our inner world, when you then re assemble those cells as the intelligent, amazingly aware human being - a human spirit with a physical body, we can begin to really comprehend the huge potential we all have. The power of the mind is not restricted to our brain, there is an intelligence, a wisdom in every single one of the 50 trillion or so cells that make us up. This innate intelligence takes in information about the environment it finds itself in and reacts accordingly. Mr Lipton remarks:"It is a single cell's "awareness" of the environment, not its genes, that sets into motion the mechanisms of life." and "When the mind changes, it absolutely affects your biology." Thankfully science is beginning to bring some positive results that make the world of energy more tangible, thus making it more possible and plausible for people to believe in. If not to believe, then at least be open to the possibility. That at least opens the door to a new perspective and a deeper understanding of our true nature and potential, individually and collectively. Also it may help some to understand how one person can positively affect another. 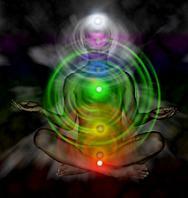 Many healers talk of Raising their Vibration and previously that has been hard for some to understand. But if you imagine the healer holding thoughts of love, peace, happiness, joy and love, with the intention of sharing that and directing that vibration to the person beside them, they can indeed bring about a transformation in their energy fields. This is such an interesting and stimulating area, which offers so much insight and potential. Discover more about the intelligence of your own energy and read more revealing evidence from the world of medicine and science at the links below. Many people today are experiencing unanticipated bodily symptoms that seem to appear out of nowhere and have no real medical diagnosis. 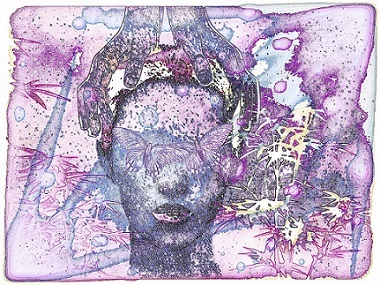 Others are aware of sudden emotional surges that also appear out of thin air, are intense, repetitive, yet difficult to connect to specific events or circumstances. Often, in the presence of such conditions, we look for logical explanations, yet find every explanation insufficient or lacking.